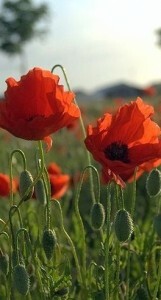 Sunday 11 November 2012—Remembrance Day. Once again, we gather to remember that eleventh hour of the eleventh month of the eleventh year, when the guns went silent and the Great War ended. It is a time to honour and remember the veterans of all wars and to hear the words of John McCrae’s poem In Flanders Fields recited beside cenotaphs and war memorials around the world. 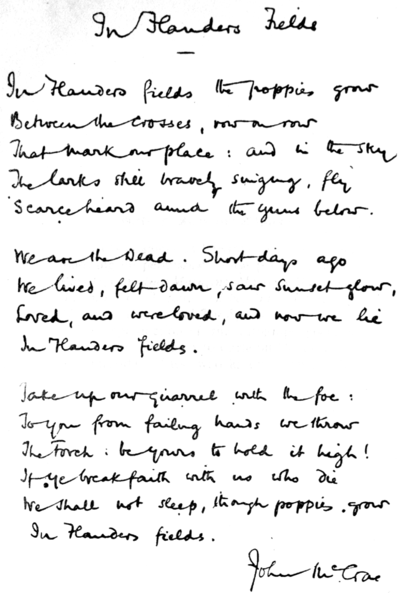 This entry was posted in In the news, World War II and tagged In Flanders Fields, John McCrae, Remembrance Day. Bookmark the permalink.